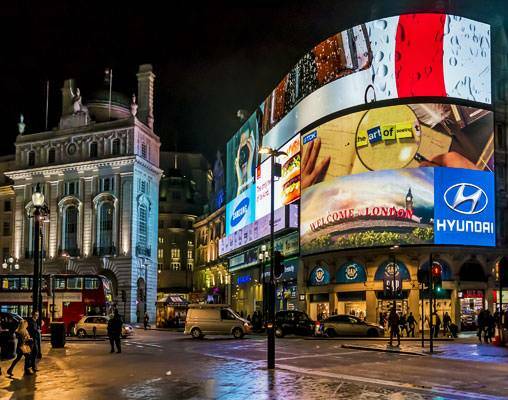 Welcome to London, the capital of England and the United Kingdom, and a leading and vibrant global city. Your Local Host will be able to help you make the most of your time. Morning guided sightseeing includes all of London's famous landmarks. 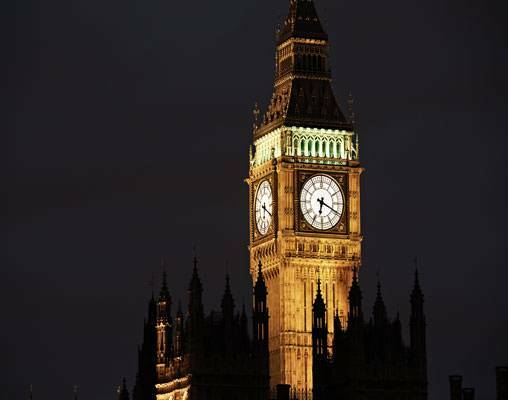 Drive past the Houses of Parliament and Big Ben; Westminster Abbey, where Prince William and Kate Middleton were married; Whitehall's mounted horseguards; the Prime Minister's Downing Street; and Piccadilly Circus. Take photographs of the London Eye, the giant Ferris wheel situated on the river bank, and the Shard, the tallest building in Western Europe. Visit St. Paul's Cathedral. Sir Christopher Wren's masterpiece with its world-famous dome is an iconic feature of London's skyline, and the awe-inspiring interior holds fascinating stories about its history. The final highlight is the ceremonial pageantry of the Changing of the Guard (if held). Take your Local Hosts' suggestion for your day at leisure—maybe explore Camden Market, the one-time undisputed center of London's alternative scene and still with plenty of delights, from vintage fashion and retro T-shirts to second-hand books and bric-a-brac. 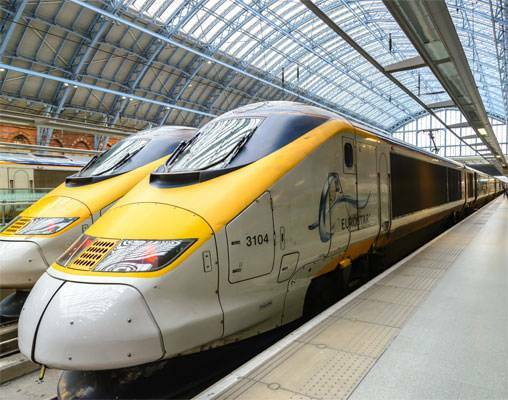 Travel by high speed Eurostar Train (standard-class) to Paris. Morning guided sightseeing takes you to Notre Dame Cathedral, where Napoleon was crowned emperor in 1804, to admire its amazing 13th-century, stained-glass Rose Window. 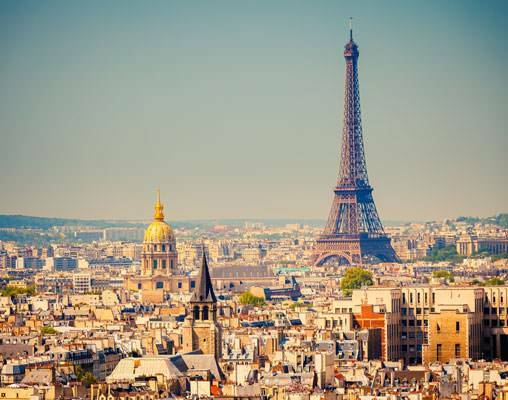 Pass the Latin Quarter, Les Invalides, the Opéra, Place de la Concorde, the Arc de Triomphe, and stop to take photos of the iconic Eiffel Tower from one of the best panoramic viewing points. Also, see the heart of the city from a different perspective…on a Seine River Cruise. 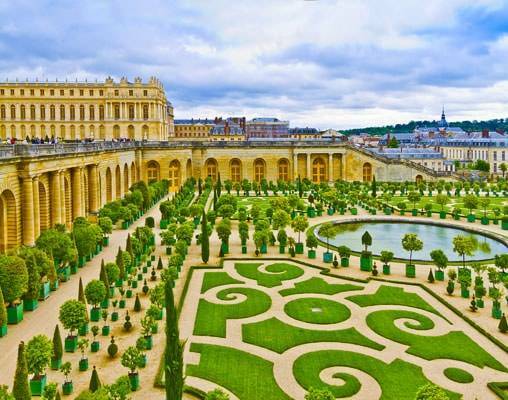 Full day at leisure to see the “City of Light” your way. Your Local Host has recommendations for a walking route in the Latin Quarter, famous boulevards for shopping, and much more. Travel to Amsterdam by high speed Thalys Train (first-class). 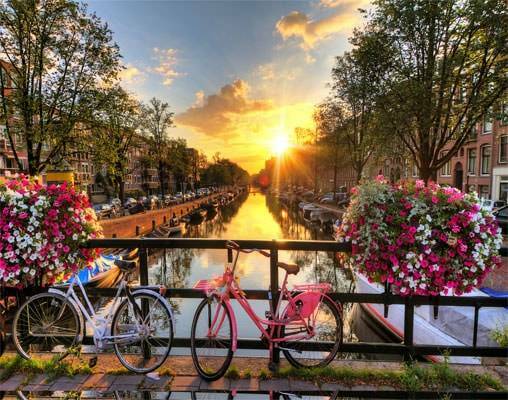 Morning guided sightseeing includes a cruise by glass-roofed boat through Amsterdam's canals, where you'll glide past traditional gable-roofed homes, fascinating houseboats, and the Westerkerk (Western Church). Take photos of the Anne Frank House, the Magere Brug (Skinny Bridge), and the Blauwbrug (Blue Bridge). Visit a Diamond Center and learn how these precious stones played such an important part in local history. 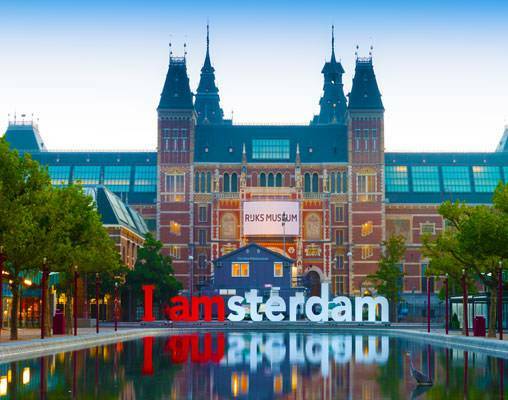 Admire the splendid works of Rembrandt and other Dutch masters at the world-renowned Rijksmuseum. Your Local Host will have many recommendations for your day, such as a visit to the interesting Bags & Purses Museum. An ultra modern 553-room hotel set in the heart of the city's historic district. The centerpiece of this property is the 11th-floor SkyLounge rooftop bar with outdoor seating offering some of the best views of Amsterdam and its river. There's also a cafe restaurant, a Starbucks coffee stand, and a 24-hour fitness center and lobby bar with library. Free Wi-Fi access is available throughout the hotel. Click here to view testimonials for London, Paris & Amsterdam. Our Vacations By Rail agent was amazing! So nice, so easy to work with. She went over and beyond to meet my requests. I would definitely buy another vacation from her. Our European vacation went off without a hitch. Totally put our minds at ease. We loved our experience so much! Thank you! 26th April 2019 $2,550 Please call for availability. Enter your details below if you would like to be notified when 2020 dates and prices are available for London, Paris & Amsterdam.